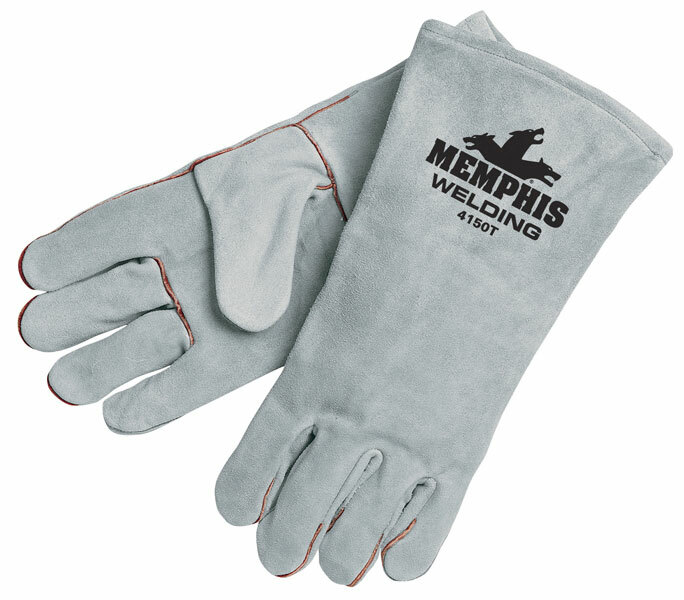 MCR Safety has the perfect welders glove to fit your individual needs. The 4150T features Premium select shoulder cow leather, a one piece 13 inch back, wing thumb,full sock black cotton drill lining, natural pearl color, and sewn with DuPont  Kevlar®. Each pair is hang tagged.